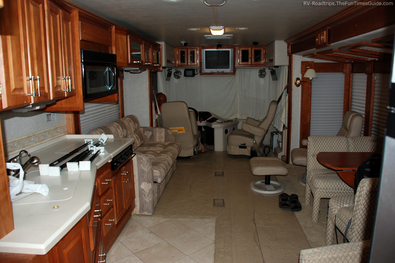 All it takes is a walk through an RV equipped with multiple slide out room extensions and you’ll be ready to sign on the dotted line and make one your own. The feeling of openness and the ability to have more than one person standing in the RV’s living room at a time will dismiss that closed-in feeling instantly. 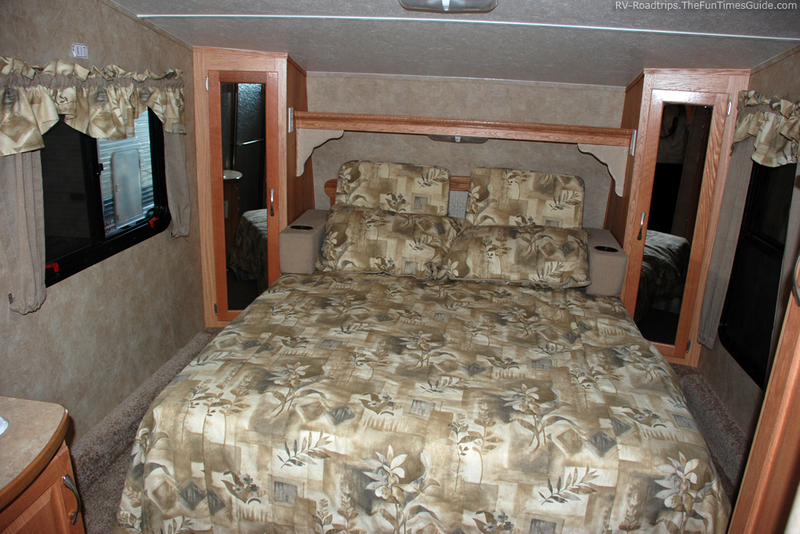 A bedroom slideout is probably the most desired slideout of all because the bedrooms inside RVs are notorious for being cramped. Having lived full time in RVs for over 3 years, the extra space provided with multiple slideouts really makes the difference between simply existing and living comfortably. 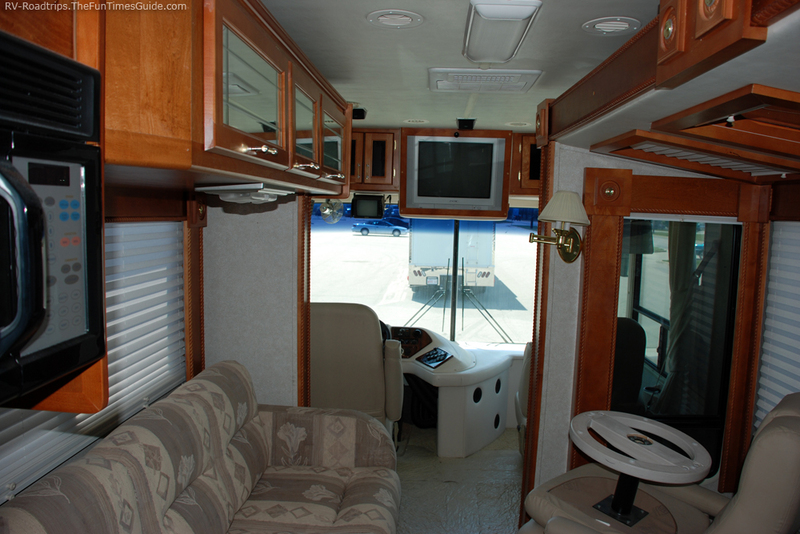 However, as with all things, there are some trade-offs when you choose a super deluxe model RV with huge wall expansions. For instance, there are some times where the slideouts create more problems than they’re worth! 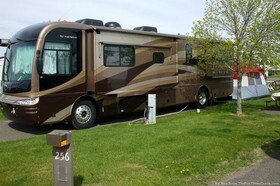 If you spend most of your RV time parked, then a slide out is the greatest invention to come down the pike. On the other hand, if you’re more mobile, driving down the road every day or so, then there are a number of reasons to give slideouts a second thought. Many people who like to spend the night in a Walmart parking lot (or someplace similar) go by the theory that making yourself look like you’ve taken root is a bad idea. They believe you should leave your slideouts retracted during those times that you’re parked temporarily. I can see their point, but I tend to disagree. Many RVs are rendered pretty much useless when the walls are sucked it. With barely the ability to get from one end to the other, you might as well open out your bed roll on the pavement if you can’t open things up inside the RV! Ease of operation makes opening and closing a slideout simply a matter of pressing a switch in most cases. I just don’t see what the big deal is about using slideouts — no matter how long you’re parked! Open up and be comfortable, if you ask me. I will say that you’ll draw more attention to yourself when you have a 37-foot fifth wheel all stretched out in the parking lot of the local truck stop though. A few years back we spent the night at the Travel Centers of America truck stop in Albert Lee, Minnesota. 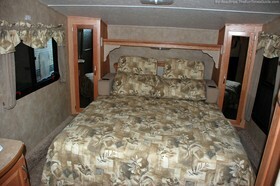 We ate in their restaurant then retired to our triple slide RV home, which we had opened up to its full glory. To minimize our sprawl we parked our second car (a small Ford Festiva) under our living room slideout. By about 10 p.m. the local Constable was knocking on our door politely asking just how long we planned on staying there. Keep in mind, there were about 7-8 other rigs spending the night in the parking lot too. But ours was obviously the biggest and consumed the most space. After we assured him that we would be gone by 6 a.m., we got a good night’s sleep. We knew full well that we could button up shop in about 5 minutes time and be gone in the morning. It really looked worse than it was. We had to open up the slide-out just to function inside our RV trailer. But not to worry, those parked close by without slideouts were able to quietly go about their business without any interference from us. When you have slideouts, you need to check each campsite before you sign up to stay there. You need to know if there might be a tree that will block the slideout, or a post that might be in the way (like that post which holds the utility hookups). 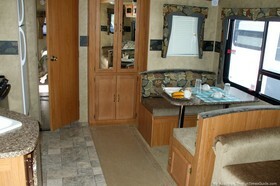 There are many RV campgrounds from the pre-slideout era. 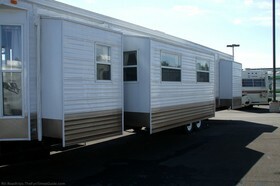 Some simply can’t accommodate what amounts to a double wide rig. You should also consider the mechanics of slideout room extensions. They are not always trouble free. There’s a lot to be said about the more gadgets one has, the more things will fail. Pounding down rough roads and enduring many highway miles… things like that take their toll on RV slideouts. It doesn’t matter if yours is a slideout that extends with electric screw type extenders, or one that is pushed in and out by hydraulic rams — even those that have electric gear motors that follow a track can — and will — fail at one time or another. u stuck with your walls out. That’s not a good spot to be in if you’re on someone else’s property and they’re anxious for you to leave! Things don’t stay new forever. As your RV ages, the slides may start to bind. Things get out of adjustment. 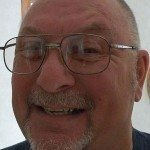 Motors lose some of their power. For whatever reason, there were many times I had to take out the hand crank and bring in the slide that last inch or so by hand. Did you know that slideouts are the leading source of RV water leaks? As the rubber seals around the perimeter age and get stiff, they can allow rain water to seep in. With the slideout either in or out, you’re relying on a rubber seal to keep the water out. My experience with slideouts confirms the fact that as the slideout gets older, things will twist, warp, and otherwise get out of shape. Cracks may develop, hardware and mechanical devices may fail, and adjustments will have to be made. Things will get stiff and need lubrication. 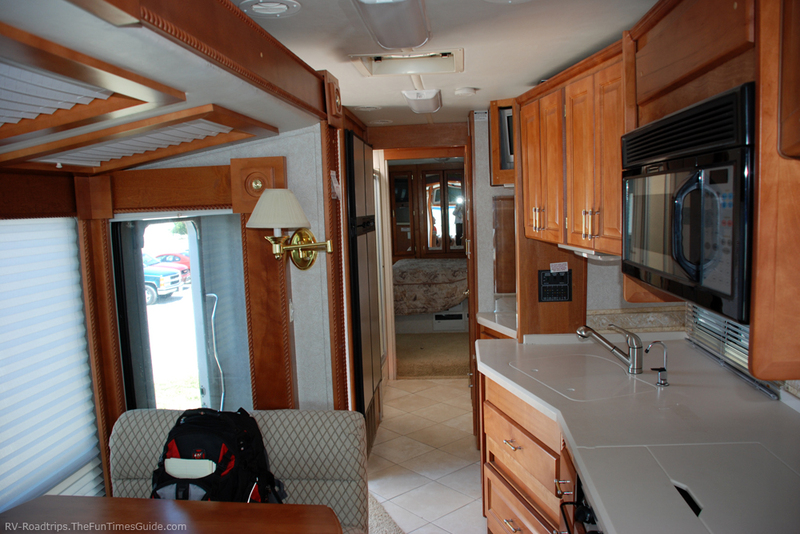 I’ve seen RVs that have the complete kitchen mounted in a slideout — with gas and water and waste lines made in a way that will allow them to go in and out when you set up camp. That’s not my idea of a good solid method of construction — too many moving parts. 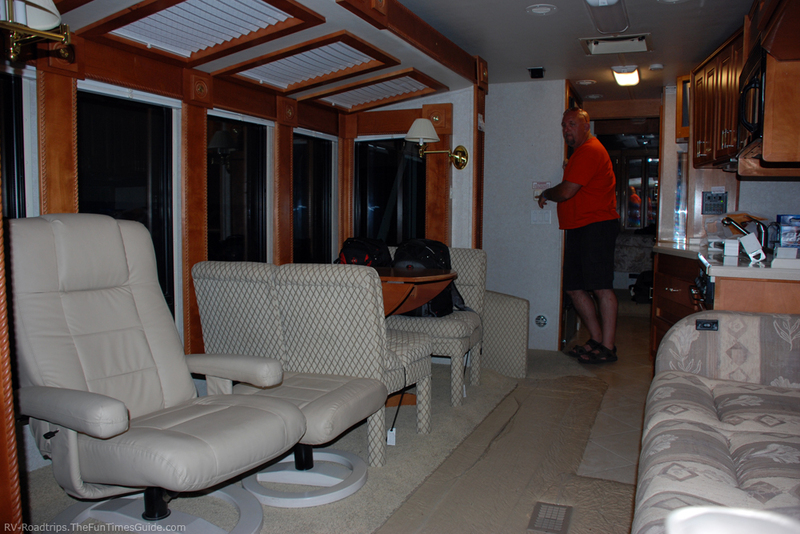 Lately, a number of luxury motorhomes have been designed with super large slideouts that take up practically the whole side of the RV. Call me old fashioned, but I question the long term structural integrity of such a design. They look great inside, but how long will they hold up? Are Slideouts In Your Future? Each individual is different in terms of what they consider acceptable. If you don’t mind a little hands-on effort on your part, and the extra space inside your RV is high on your wish list, then an RV with slideouts might be just the thing for you. Be sure to give it some thought ahead of time though, because all that extra space will probably require some attention later on down the road. There is trade-off, no matter how you look at it. In my opinion, slideouts are nice — but only if you stop a lot and for long periods of time. Otherwise, they tend to cramp the interior space of your RV quite a bit while you’re driving.